The full display module contain the following parts; the frontcover, touchpanel/digitizer, lcd and small spare parts for the module. It is the complete display part, if the screen is cracked or scratched, it will replace the complete display unit at once. An other big advantage of a full display module is that all the parts are mounted already. It is just one full unit. Please note, this product is included the frontframe and frontcover. This product is the most complete variant on the market for replacing your display. With this part it is easy to replace the display part of your device! 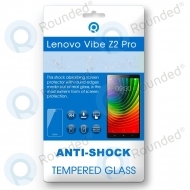 Question or inquiry for Lenovo Vibe Z2 Pro (K920) Display module frontcover+lcd+digitizer black?